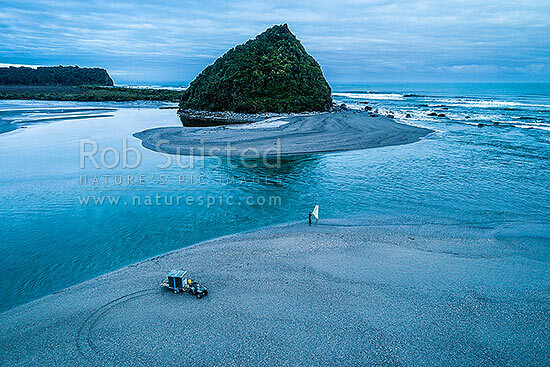 Lone whitebaiter scooping whitebait at the Wanganui River mouth at dawn on the rising tide. Mt Oneone headland beyond. Aerial view, Harihari, Westland District, West Coast Region, New Zealand (NZ), stock photo.